We would like to extend an invitation to share with you the tranquillity and secluded setting that surrounds Country Charm Bed & Breakfast, Murray Harbour, Prince Edward Island. We are pleased to offer a selection of venues; enjoy the pampering of Country Charm B&B, Loft Suite Apt or choose your own housekeeping cottage, or Guesthouse with Forest and Stream Cottages. Surrounded by the perfection of nature, you can enjoy a stroll on our trails, bird watching, row or pedal one of our boats down the lake, try your hand at catching a trout, have a swim, enjoy a bike ride along confederation trail, or just sit and relax with a book, enjoy the scenery, serenity and Island sunsets. 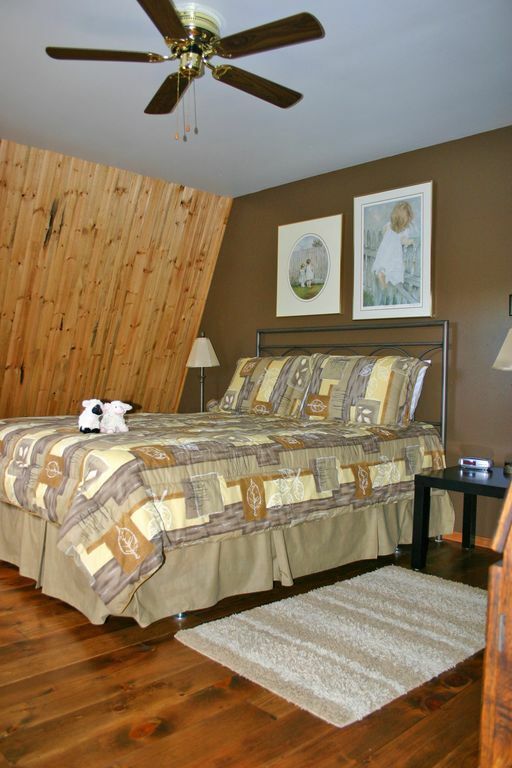 Located on Points East Coastal Drive Scenic Route just outside the picturesque fishing village of Murray Harbour PEI, just 20 minutes to the Wood Islands Ferry to and from Nova Scotia. Quiet Secluded location on 20 acres with a 1 km long trout pond.